There are three fields within the organization of the Yatsugatake Forest Station. 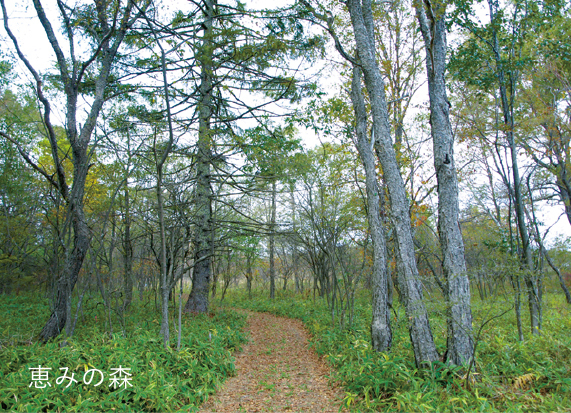 Megumi Forest (literally meaning forest of blessings, administrative office on site, 14 hectares) is in the southern portion of the Nobeyama highland. Two kilometers to the northwest of the Megumi Forest lies the Yatsugatake Forest (80 hectares, hereinafter this is what the term “Yatsugatake Forest” refers to) and the Kawakami Forest (189 hectares) sits four kilometers to the southeast. 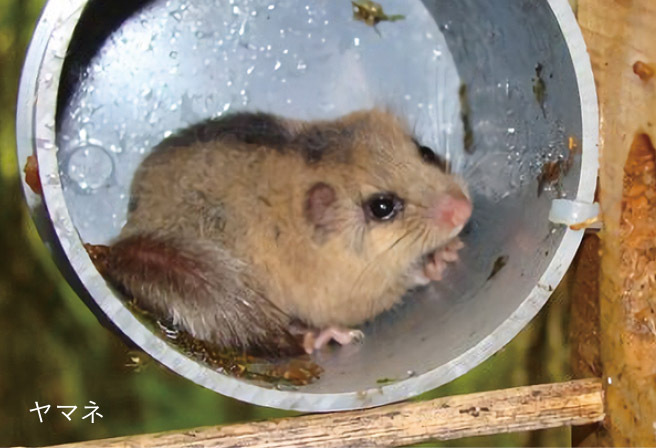 These places are inhabited by rare organisms such as Japanese primrose, Japanese dormice, and the Luehdorfia puziloi butterfly, and education and research on forests, parasitic fungi, soil, and hydrology are conducted here. Located on the gentle slope stretching from the foothills on the east side of Yatsugatake’s main peak, Akatake, at an elevation of 1400 – 1450 meters. It is a natural forest occupied predominantly by Mongolian oak and birch trees (90%) mixed with lower shrubs such as hazel. The forest floor is mainly covered in Sasa nipponica. It is our policy to preserve these broadleaf forests. The soil is composed of Mesozoic sedimentary and Neogene period rocks and covered in Yatsugatake eruption residue and a layer of sandy foothill gravel. Black forest soil is distributed across the surface, which has poor drainage and breathability. As there are no large mountain streams among such soil and forest, recessed areas and small grooves are easily wet and transitional moors with mostly Moliniopsis japonica are scattered throughout. The surrounding area is mostly agricultural land pioneered after the war. 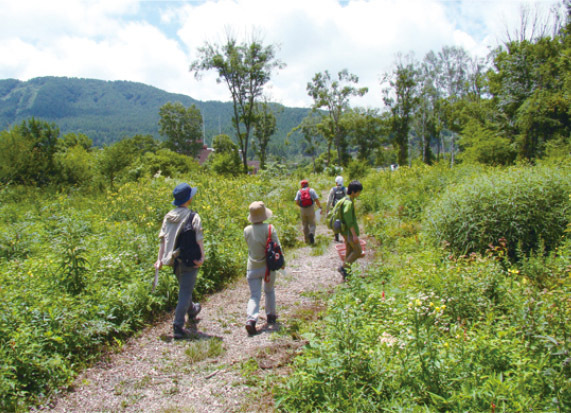 At an elevation of 1350 meters, there is a nature trail maintained among the surrounding facilities, which include an administration building and accommodation building, and it is open to the public for activities such as wild vegetable harvesting and mushroom picking. While growing the young forest of broad-leaved deciduous trees used by people, we are aiming to be an experiential outdoor facility where people can enjoy the gifts of the local grasses and flowers, forests, and trees. The Kawakami Forest is located in the elevation range of 1360 – 1790 meters on the westernmost end of the Kanto mountain range. It is an artificial forest composed mainly of larch (70%) and the remaining portion is a secondary forest composed of Mongolian oaks and birch trees. The forest station is on the border of Nagano and Yamanashi Prefectures and at the same time forms a watershed for both the Pacific Ocean and Japan Sea sides. Within the forest there are five incised valleys that feed into Misawa a branch of the Yadegawa River, which is a tributary of the upper Chikuma River. As such migrating sediment soil is distributed throughout the mountainside. The geology is made up of slate and other sedimentary rocks from the Mesozoic era, but on top of that there is a deposit layer of andesite from Mt. Iimori’s volcano and the surface is covered in a base layer of weathered andesite and volcanic ash and covered in brown and black forest soil. The soil structure is mature making it better suited to an artificial forest than the Yatsugatake Forest Station. Small area dispersion clear-cutting (regeneration cutting) to induce a mosaic forest is implemented under a forest management plan.